During their 20-year marriage, Will Smith and Jada Pinkett Smith have faced an insane amount of rumors. Thankfully, the rumor mill seems to have slowed down these days as the couple enjoys raising their children to become the next generation of Smith superstars. Jaden and Willow are already well on their way with the two being some of the most exciting young musicians today. Jada's Red Table Talk has generated some memorable conversations during its run with the actress tackling important and personal issues. In the past, she's discussed drug addiction with August Alsina and her mother and this time, Jada is sitting down with her husband Will, their daughter Willow, and her mother to tease the upcoming episode. 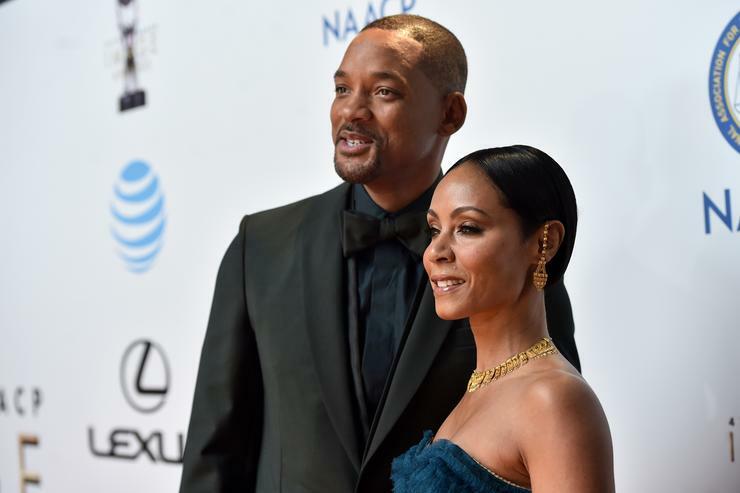 A clip from their talk is being shared where Will Smith discussed one of the worst periods during his marriage, speaking candidly about a time he believed he was "failing miserably." The entertainer told Willow, "There was a period where mommy woke up and cried 45 days straight." Willow was obviously surprised while Jada corrected him, saying that he "missed some days." He continues, saying, "It was every morning. I think that’s the worst I ever felt in our marriage. I was failing miserably." The video ends there but they're bound to go more into detail when the full episode airs on Facebook Watch. A teaser trailer for the upcoming Will Smith-starring Aladdin was released last week which you can watch here.